Your child’s favorite and not so favorite can books change constantly as he or she is learning and exploring life. As children mature, their attention spans get longer and new interests start to develop. What stories does he sit and listen to with anticipation? What books draw her in and make her beg for more reading time? When you need ideas for different books or more and more books, here are some websites that can help. Find books on a topic or by appropriate age level. Once your child learns to read independently, make sure that you as a parent keep reading aloud to keep interest in books alive! Find books by age (including pre-school), grade level, reading level, and topic. You can also buy gently used children’s books through the site. Developed by 3 sisters who have a long history of teaching pre-school through elementary grades. Books are just one of the many forms of entertainment for children today. Electronic and digital media are part of their world. What are your own guidelines for what your children can watch or play? This site gives recommendations on movies, books, games, music, and websites for children filtered by age and topic. You can even find media featuring character development traits such as tolerance, acceptance, and perseverance. There are also books (and other media) grouped by culture, books for reluctant readers, books with characters of color, and books especially for boys. The New York Times Children’s Book Reviews. Weekly reviews of newly published children’s books with some longer essays that explore topics such as going to school, the alphabet, empathy, and friendship. Madeline Finn does not like to read, especially out loud. But Bonnie the library dog is a patient and gentle listener who lets her read slowly and keep trying, even when she makes mistakes. 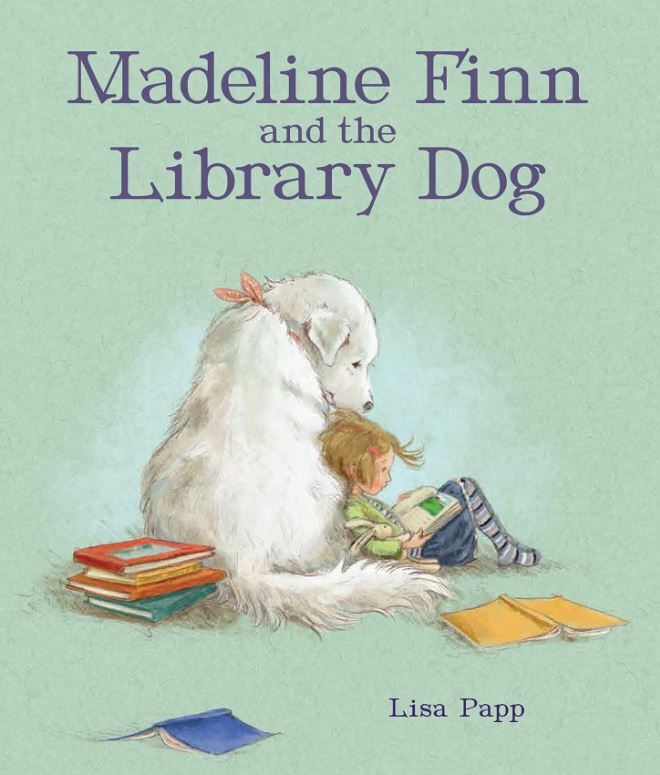 Complete with endearing and comforting illustrations by Lisa Papp, Madeline Finn and the Library Dog is an inspiring and comforting book for less-confident new readers. The Children’s Book Council also has a current news article about the release of USPS Forever stamps with images from the book “The Snowy Day” by Ezra Jack Keats, being issued this October. I can’t wait to get mine! There are so many websites with book lists that are out there! What are your favorites? Email me and I can share.